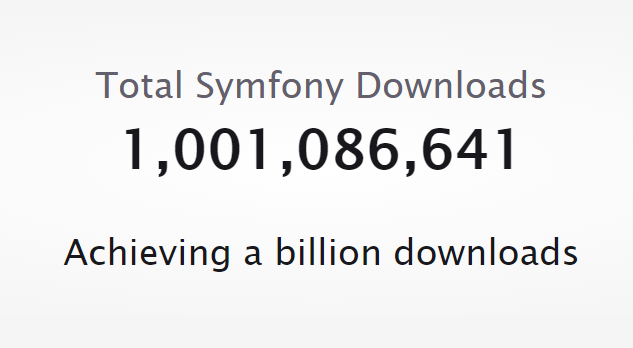 Congrats on the 1st billion downloads! So they did it! Fabien Potencier‏ and the Symfony community deserve one big round of applause on their new milestone: 1 billion free Symfony packages have been downloaded by the PHP developers around the world. Our colleagues included! At Zitec, we simply love Symfony! Most of our new projects are based on it and, so far, the feedback from our developer colleagues has been excellent – Doctrine is powerful, yet versatile, Twig is as elegant as a template engine can get, the Console component makes writing command-line actions a breeze and Sonata admin has reduced the time it takes us to configure administrative interfaces quite a bit. So thank you Sensio Labs and the Symfony community for the great work you guys are doing! The day before the hack. ZiHack!